DETROIT -- A consortium of 10 automakers led by Toyota Motor Corp. plans to hire an independent engineering firm and a former top U.S. auto safety regulator to investigate a rash of problems with airbags supplied by Japan's Takata Corp., the group said on Wednesday. The carmakers want a forensic engineering firm "to address the technical issues with Takata airbag inflators," Toyota spokeswoman Julie Hamp said in a statement on behalf of the group, which refers to itself as the joint initiative. David Kelly, a former acting administrator of the National Highway Traffic Safety Administration, is the lead candidate to coordinate the probe, said people familiar with the effort. The automakers have recalled more than 14 million vehicles with defective airbags since 2008. 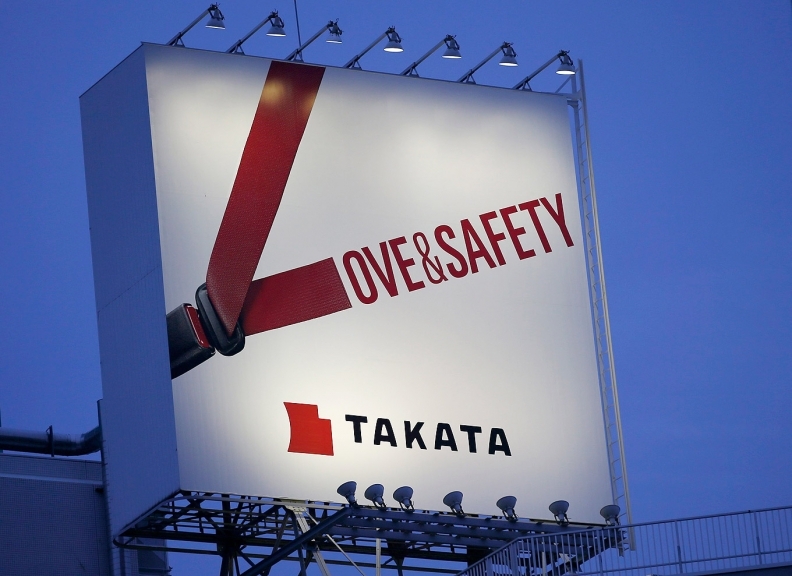 Takata said it has agreed to support the industry consortium in its investigation. In a statement, the supplier said it "is also conducting extensive testing and has engaged top automotive engineers and scientists from around the world to assist in evaluating inflator ruptures and discovering the root cause of these issues." In December, Takata named Samuel Skinner, former U.S. secretary of transportation, to head a "quality assurance panel" to review the company's policies and responsiveness to automakers and regulators. Toyota invited other automakers in early December to join "a coordinated industry-wide joint initiative to independently test" Takata airbag inflators involved in the recalls. News that the group was considering Kelly was reported Thursday by The Detroit News and The Wall Street Journal. Toyota said the group's goal was to address issues related to the Takata inflators, which can rupture and spray shrapnel at vehicle occupants. The defective inflators have been linked to at least six deaths, all in Honda cars, and dozens of injuries. Honda Motor Co., which has been Takata's largest customer, is part of the joint initiative, as are General Motors, Ford Motor Co., Fiat Chrysler Automobiles, BMW AG, Nissan Motor Corp., Mazda Motor Corp., Mitsubishi Motors Corp. and Fuji Heavy Industries Inc.'s Subaru brand.